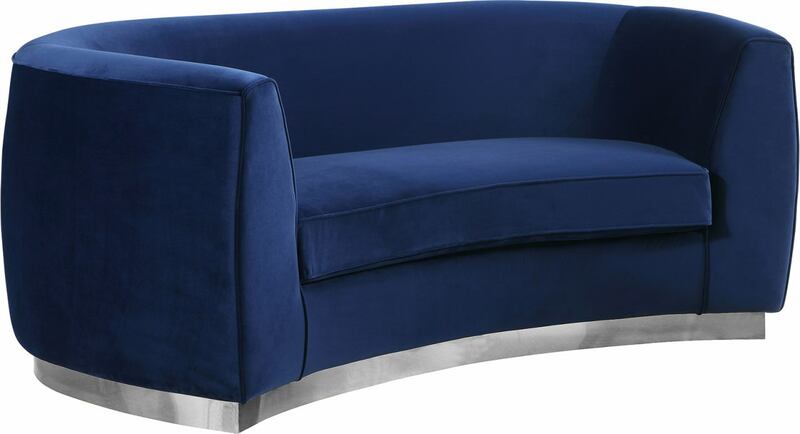 The perfect mix of navy velvet and Chrome stainless steel comes to life in your space with this Julian Navy Velvet loveseat. 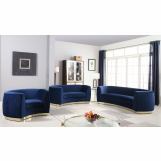 This bold navy velvet loveseat comes upholstered in rich, sumptuous-to-the-touch velvet to make a fashionable statement in your space.The curved back design lends it a modish touch, and the gold stainless steel trim around its base adds to its glitzy appeal. Stage this loveseat alone or with other pieces in the Julian collection.